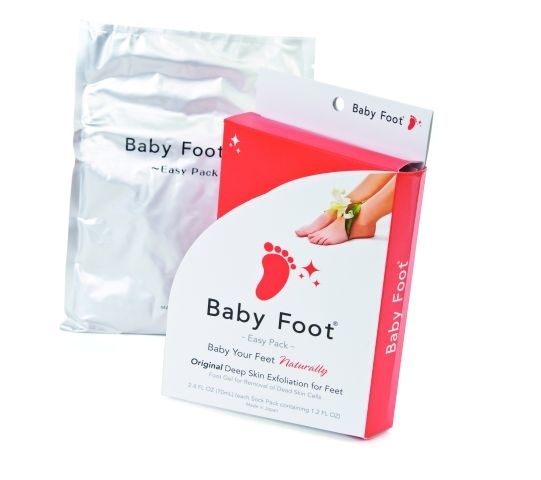 Baby Foot Easy Packs are unique callus softening bags that use gel to help remove dead skin cells. Put the sock packs on both feet after cleansing and wear for one hour. Remove the wraps and gently wash with soap and the dead skin cells will begin to peel from two to seven days after application and continue to peel naturally for two to three weeks.